Your train has arrived, the car is waiting, your vehicle is ready... But are you? 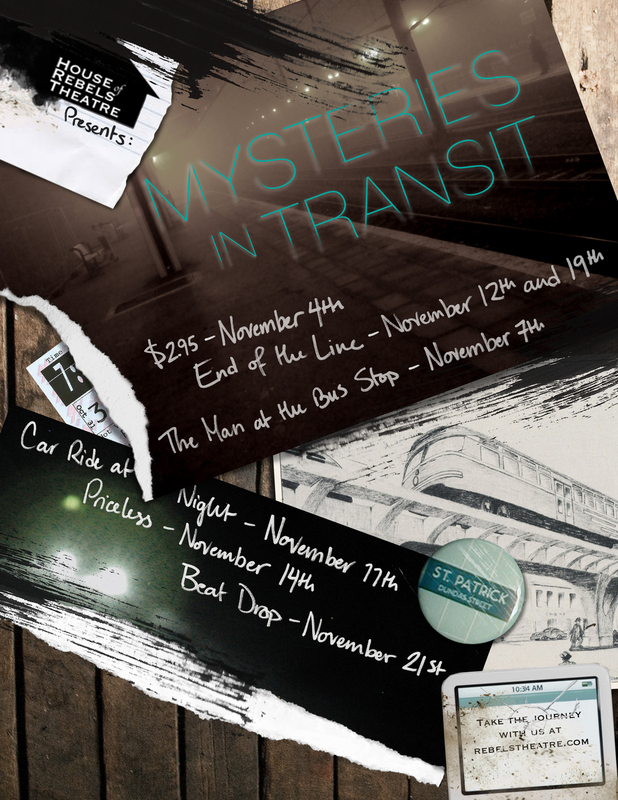 Mysteries in Transit takes you on a journey from the same start, but through many different avenues. Eight playwrights have written eight pieces, and the work of many actors, editors and directors have come together to produce for you these journeys to take. So the only questions remains, will you climb aboard?